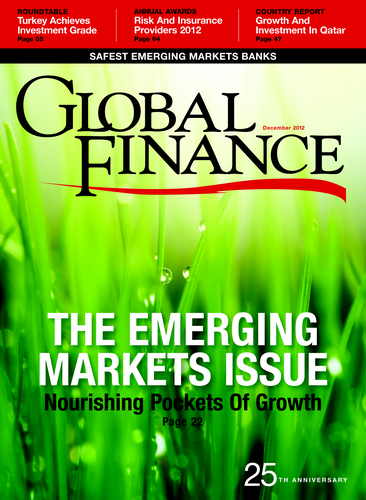 The Best Investment Bank award at Global Finance is a relatively recent innovation, reflecting performance in the four years since the financial crisis led to consolidation and a complete overhaul of the investment banking model for those left in the field. 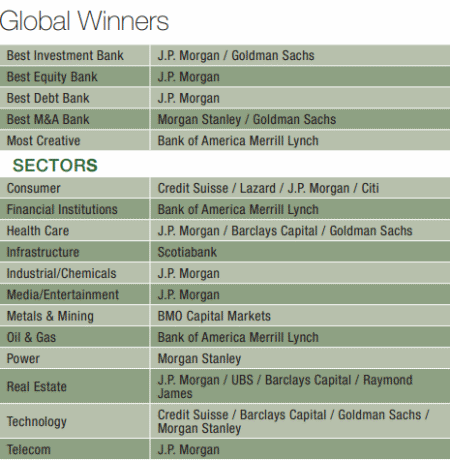 The clear winner of that remodeling and consolidation drive was J.P. Morgan, so it’s not too surprising that the bank won the top global investment bank award in 2009 and 2010. It shares the overall award with Goldman Sachs, while Morgan Stanley is the best global bank for M&A and Bank of America Merrill Lynch has been the market’s most creative player. Regionally, the picture is more diverse. 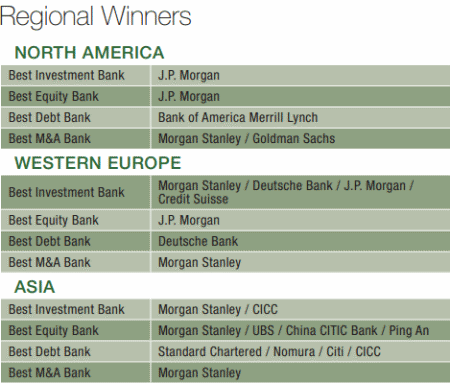 J.P. Morgan is the best investment bank in North America, Bank of America Merrill Lynch comes top in Central and Eastern Europe, Citi wins in Latin America and Morgan Stanley and China International Capital Corp share the accolades in Asia. 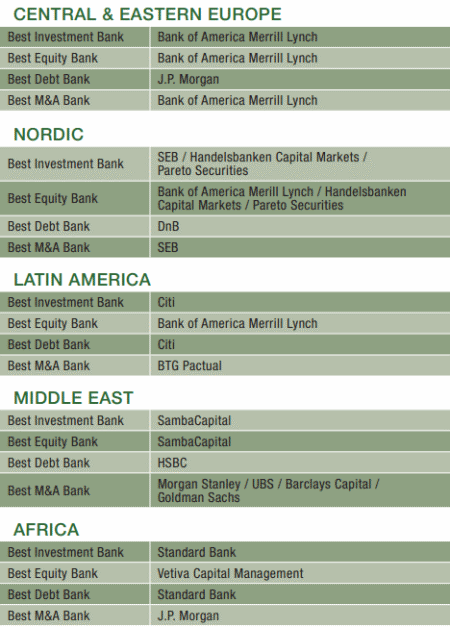 SambaCapital and Standard Bank have won top investment bank for four straight years in the Middle East and Africa, respectively.